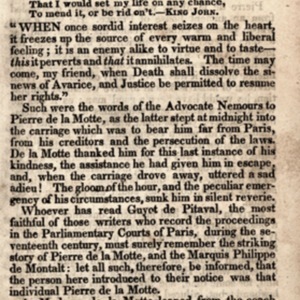 First Page of The Romance of the Forest. Still image of the first pafe ofThe Romance of the Forest. 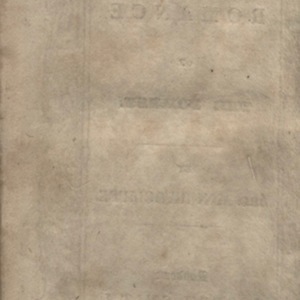 High resolution scan of cover and spine of Smith's 1835 edition ofThe Romance. Photograph of exterior, featuring pages / main body of the text, for Smith's 1835 edition of the novel. 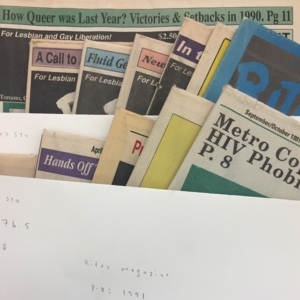 The Romance of the Forest publication info. page, 1835. High resolution scan of the final page of Joseph Smith's 1835 edition of The Romance of the Forest. Frontispiece for The Romance of the Forest. Scanned image of the frontispiece for Joseph Smith's 1835 edition ofThe Romance of the Forest. Title Page for James Boaden's Fontainville Forest. 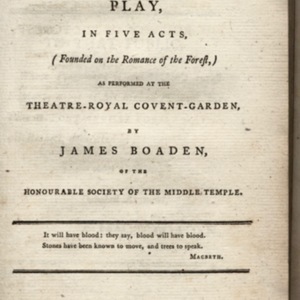 Photograph of the title page for 1794 (possibly first) edition of the play. Publication Advertisement in James Boaden's Fontainville Forest. 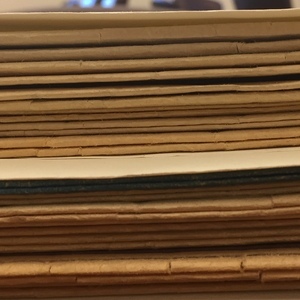 Photograph of publication advertisement detailing other works by Radcliffe available from same publisher. The Romance of the Forest Title Page, 1835. 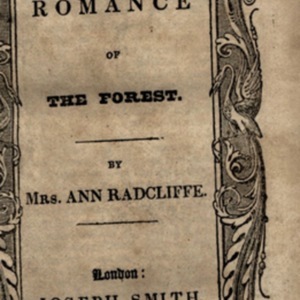 High resolution scan of the title page for Joseph Smith's 1835 edition ofThe Romance of the Forest. Owner Signature of The Romance of the Forest. 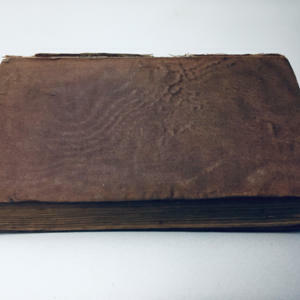 A photograph of a previous owner's signature in this copy of Joseph Smith's 1835 edition ofThe Romance of the Forest. 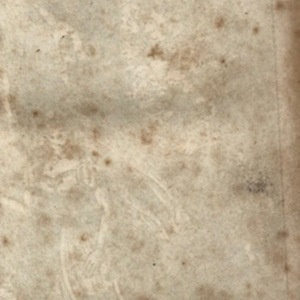 Spine of The Romance of the Forest (1835). 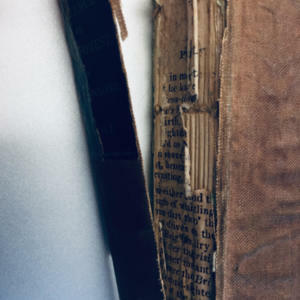 Close up photograph of the deteriorating spine for this copy ofThe Romance of the Forest,exhibiting compositional process and decay. 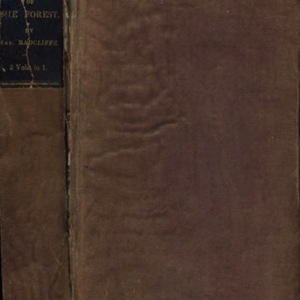 Exterior (including spine) of The Romance of the Forest. 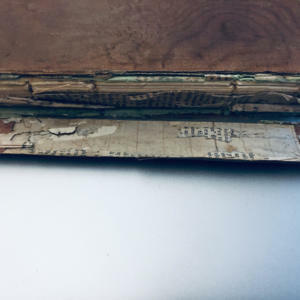 Photograph of exterior of the 1835 Joseph Smith edition ofThe Romance of the Forest, exhibiting advanced dilapidation. 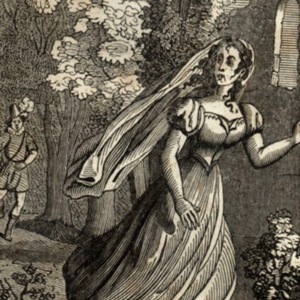 Detail of Frontispiece for The Romance of the Forest (edit). 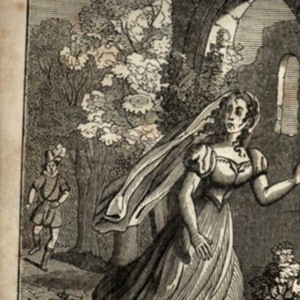 Edited detail of the frontispiece—an illustration corresponding with p. 62 of the this edition of the novel—Adeline through the ruined abbey from a mysterious man. 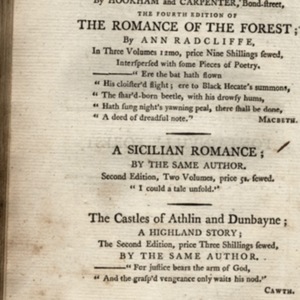 Cover of Ann Radcliffe's The Romance of the Forest. 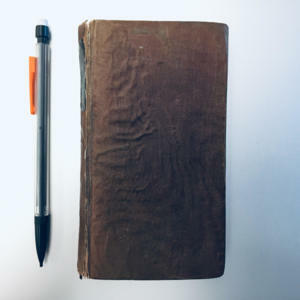 Cover of the book, exhibiting history of use and material wear.